Amaziah (Hebrew: אמציה, ʼAmaẓyāh; "Name means::strengthened by YHWH") (864 BC-r. 839 BC-810 BC according to Ussher, or 821 BC-r. 796 BC-767 BC according to Thiele) was the eighth king of the Kingdom of Judah in direct line-of-descent from David. His is yet another story of a king who starts out doing right, then backslides and brings disaster upon himself and his kingdom. Amaziah's parents were King Joash and his favorite wife Jehoaddan of Jerusalem, to whom he was born in the fifteenth year of Joash's reign. Amaziah himself married Jecoliah of Jerusalem. By Jecoliah he had his son and successor, Uzziah. This happened either when Amaziah was 37 years old (and in the thirteenth year of his reign) or when he was 12 years old (and would not take the throne for another thirteen years). The different birth dates for his son are required by the different chronological systems—a fact that Thiele never acknowledged in his lifetime, but which his disciple, Leslie McFall, readily admits. Amaziah succeeded to the throne in either 839 BC or 796 BC, at the age of twenty-five. (2_Kings 14:1-2 , 2_Chronicles 25:1 ) The author of the Kings books says that this happened in the second year of King Joash of Israel. In fact, it was the second year since Joash of Israel became sole rex of the Kingdom of Israel; he had been pro-rex for three years at that time. Next, Amaziah took a census of his people, and found that he had 300,000 men of military age (that is, 20 years old and older) who had weapons training. (2_Chronicles 25:5 ) He decided to attack the Edomites again, and to make sure of his success, he hired 100,000 Ephraimite mercenaries from King Joash of Israel for a hundred silver talents (approximately four tons). The Ephraimite mercenaries whom Amaziah had sent home, attacked several Kingdom of Judah cities, killed 3,000 people, and took much spoil. This is the only provocation Amaziah could be said to have had for what he did next. Shortly after this disastrous war, Joash of Israel died, and his viceroy Jeroboam II began to reign alone. Amaziah lived on for another fifteen years. (2_Kings 14:17 , 2_Chronicles 25:25 ) Then another conspiracy formed against him. He fled to Lachish (where the remains of a high place stand in modern times), and the conspirators found him and killed him there. They brought his body back on horseback, and he was buried in the sepulchres of the kings. (2_Kings 14:19-20 , 2_Chronicles 25:27-28 ) His son Uzziah reigned in his place. All of the above are entirely in accord with Ussher's chronology of the Divided Kingdoms. From these statements Ussher concluded that Uzziah was born to Amaziah when the latter was thirty-seven years old, and that he began his sole reign when he was sixteen. Uzziah was made viceroy at sixteen and then became sole ruler of the Kingdom of Judah twenty-four years later, and then reigned alone for another seventeen years. But that would mean that Amaziah sired Uzziah at age twelve. That is entirely possible—and in fact a future king of the Kingdom of Judah must surely have sired his own successor when he was even younger. But it requires much "multiplication of guesses" because it violates the plain reading of so many verses. It also assumes that Uzziah granted his son a ten-year viceroyship. ↑ 4.0 4.1 4.2 4.3 4.4 4.5 4.6 4.7 4.8 Authors unknown. "King Amaziah - Biography." 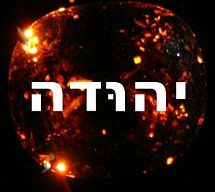 The Kings of Israel, hosted at http://www.geocities.com/ Retrieved June 10, 2007. ↑ 5.0 5.1 5.2 5.3 5.4 5.5 5.6 5.7 Authors unknown. "Entry for Amaziah." WebBible Encyclopedia. Retrieved June 10, 2007. This page was last modified on 11 November 2013, at 12:24.